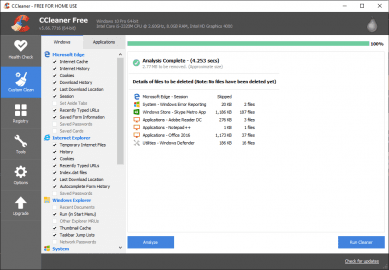 CCleaner is free tool for cleaning up your computer from all sorts of unwanted files and data. This will free up a lot of space and make your computer run faster and with less errors. 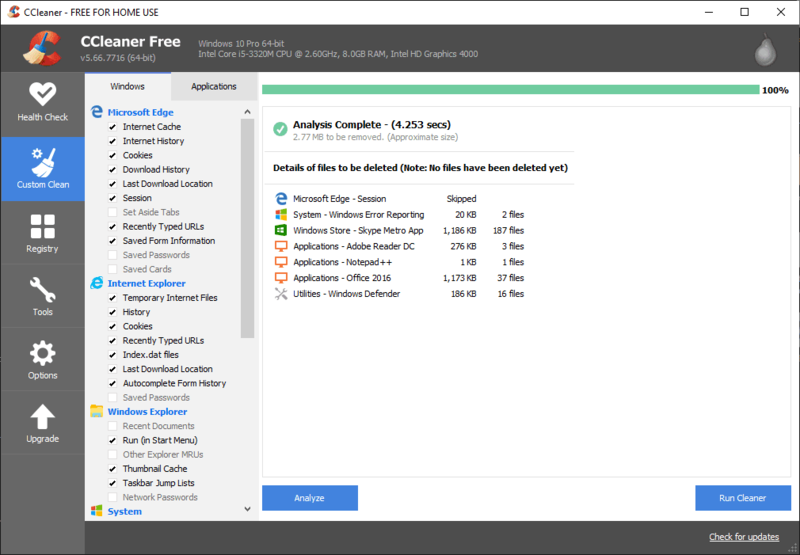 CCleaner will analyze your computer and provide you with a detailed information about what can be cleaned, such as temporary internet files, history, cookies, recent documents, memory dumps, Windows log files and similar. By cleaning up cookies and other browsing data your privacy will be protected while browsing the web. Integrated registry cleaner, will analyze your registry and provide information about what problems can be fixed. By fixing registry errors your computer will run faster and with less crashes. 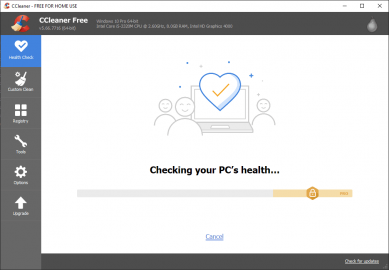 Before running registry cleaner it is advised to do a backup, to prevent damage to your computer. Uninstaller and Startup tools, which are also integrated into the app, are used for uninstalling unwanted programs from your computer. Startup tool will show all apps that are run on a computer startup and give you the possibility to disable or delete them. This in turn frees up memory and computer processes, making the computer even faster. 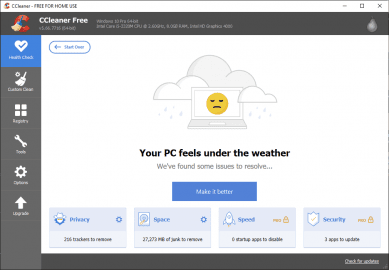 CCleaner also has system restore tool, which allows you to remove restore points. 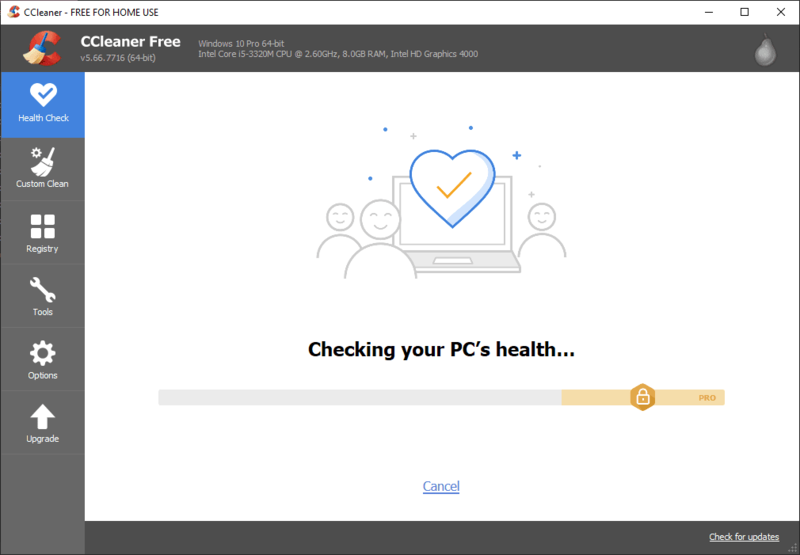 Among other options you can set CCleaner to run when the computer starts and run it on schedule.